Porto Naousa downtown luxury hotel is situated on a quiet traditional narrow stone paved street just minutes away from the captivating village Naousa. Over the years Naousa has evolved from a traditional fishing village to a cosmopolitan resort. The lovely village Naousa is built amphitheatrically around a tiny picturesque port where little colourful boats can be seen creating a unique atmosphere. In Naousa you will have access to everything you need in terms of transportation buses, taxis, car/motorbike/bike rentals cash withdrawl and information booth. 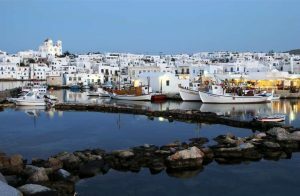 Naousa has an exciting nightlife.You will discover classy shops, fashionable cafes and bars and gourmet restaurants as well as traditional fishing taverns; a harmonious blend of traditional and modern life. In front of the harbour you can admire the half sunk Venetian Castle or Kastelli and at the edge of the pier stands the picturesque church of Agios Nikolaos, dedicated to the fishermen of Naousa. Other major attractions are the Folklore Museum of Naousa, the Folklore Museum of Vlachs as well as the museum of Wine and Vine. Naousa is also famous for its golden beaches filling the natural bay such as: Agios Ioannis, Agii Anargiri, Monastiri, Kolibithres, Santa Maria and many more. 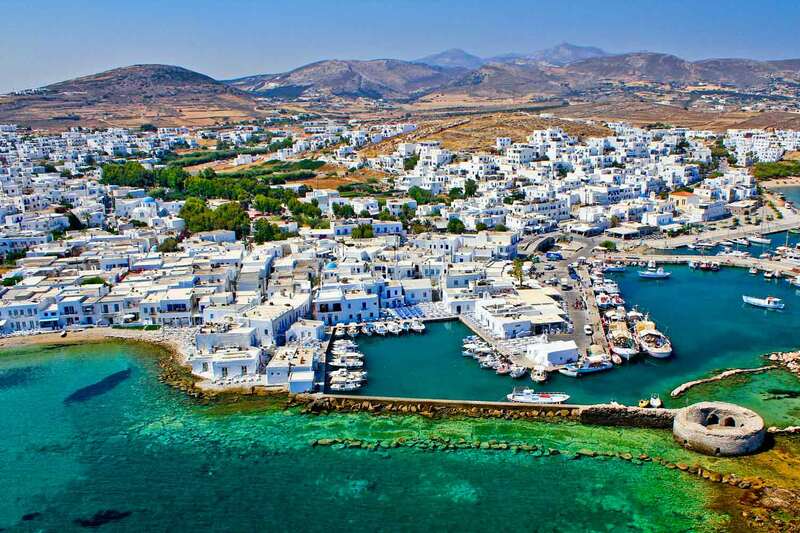 Port of Paros: 9 km.